Preforms for precision moldings is the glass exclusive use of pecision molding process, and widely known as low melting point glass. The hot process preform, which is formed into a final shape directly from the melting furnace, is distinguished by the prefix "MP-xxxx". 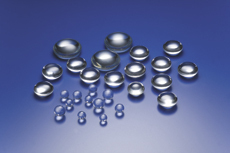 While the cold process preform, which is formed into a both-side polished through conventional polishing process, is distinguished by the prefix "MC-xxxx". 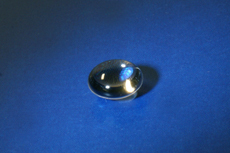 Preforms for precision moldings has low melting point compared with the conventional optical glass. 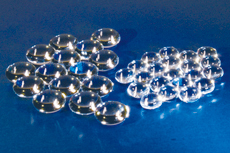 Low melting point glass brings the cost effective molding process because of the improvement of process cycle time and the life of mold die. All of our preform are environment friendly containing no lead or arsenic.